Wait a second…you mean Corey Feldman’s Tommy didn’t actually kill Jason with his own machete in “The Final Chapter”? I guess not. 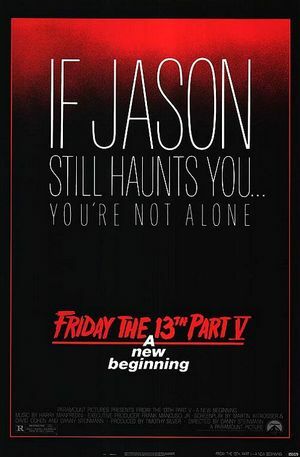 Well, for those of you keeping track, “A New Beginning” begins 10 years after killing the goalie hockey-masked killer Jason Voorhees. Tommy Jarvis has grown up in various mental hospitals unable to get over the nightmares about Jason’s return. When Tommy is sent to a rural halfway house in California for mentally disturbed teenagers, a series of grisly murders begin anew as another hockey-masked killer begins killing off all people at and around the residence. Has Jason returned from the dead to re-start his killing spree? 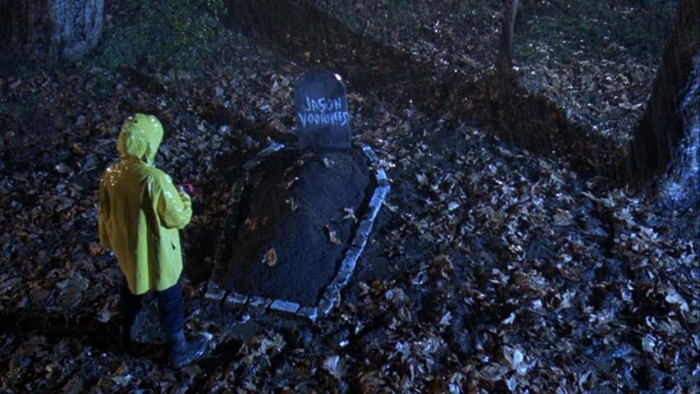 Has Tommy decided to take over the reign of Jason, or has someone else? Not a whole lot really works in “A New Beginning”. This one is played with a murder-mystery element. Guess what? SPOILER ALERT! Jason isn’t the killer in this installment. It’s some crazy ambulance driver who’s son was attacked at the halfway house that Tommy is now staying. I’m sorry fillmmakers but a whodunit doesn’t work when the character that is playing your killer only appears on screen for less than one minute. It is all pretty kinda dumb but I do give props to the filmmakers for at least TRYING to do something different. It’s all kind of silly but more fun than Part 3 or 4. Nonetheless, there are two characters that save “A New Beginning” from being utter trash. Those two characters are the punk pop princess Violet who does a killer robot dance to “His Eyes” by Pseudo Echo that is pretty damn amazing. The other is a white trash princess named Ethel that spews out more profanity than any other character in Friday the 13th history. This film is almost worth watching for these two alone. As it stands, the film isn’t bad but not particularly good. It’s like the cheeseburger you eat after a long night of drinking. It fills your stomach and gets the job done but you might regret it in the morning….